This touching, humorous, and revelatory memoir by the 2013 inaugural poet explores the difficult negotiation between embracing a U.S. American identity while preserving the cultural traditions of the author’s Cuban heritage. Blanco’s story not only provides insight into his coming to terms with his sexuality and sense of self as a writer, he also captures the complexities of his family’s love and closeness despite the homophobic and ethnocentric attitudes they impose on him. Blanco describes in great detail his experiences growing up in Miami during the 70s and 80s, and the references to popular culture in the U.S. are integrated with the foods, music, and Spanish language of his Cuban American community. Perhaps what is most striking about this memoir is Blanco’s ability to engage with and learn from his encounters with a diverse cast of characters. From his deeply conflicted love for his domineering grandmother to his brief friendship with the Jewish “Queen of the Copa” he meets while on a family vacation, Blanco shows how even when he feels estranged from his family and friends he is never truly alone. 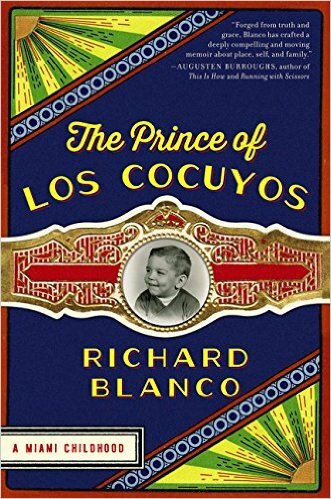 The Prince of Los Cocuyos reimagines what it means to be American and Cuban, and Blanco inspires his readers with his clear, authentic voice.